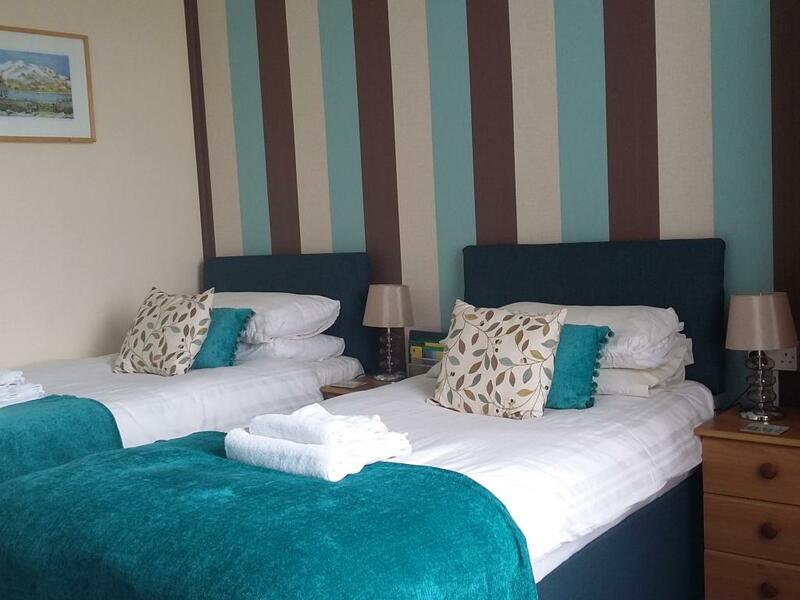 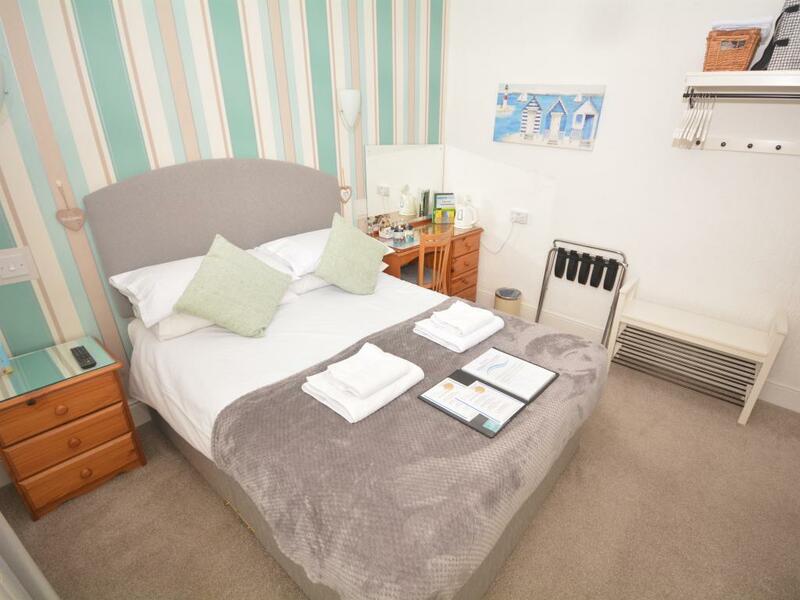 Our single room has been fully decorated to a high standard, with the aim of keeping each room fresh and individual.A single divan bed with good quality, Orthopaedic mattress, and two hypo-allergenic pillows. 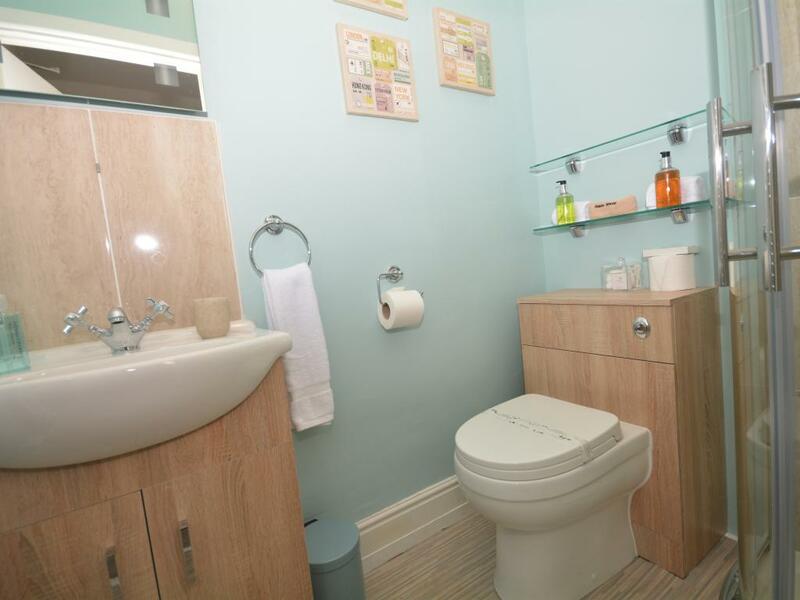 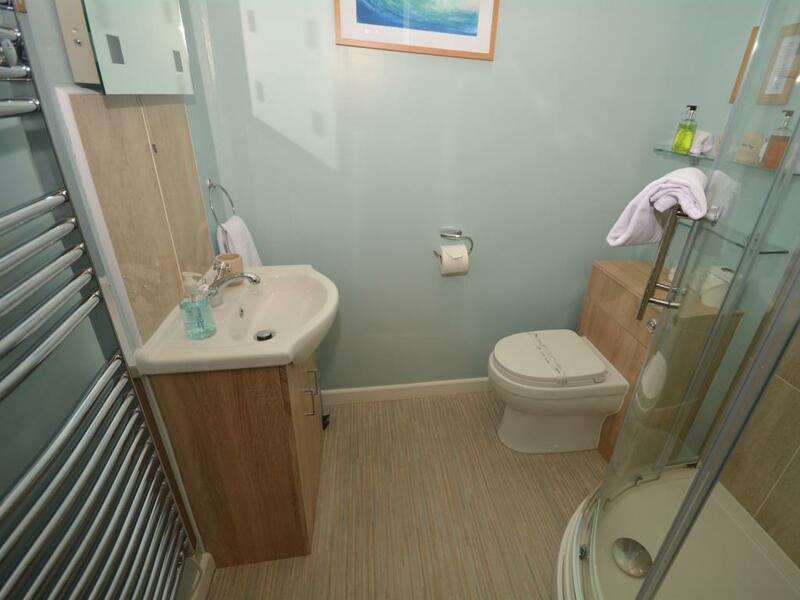 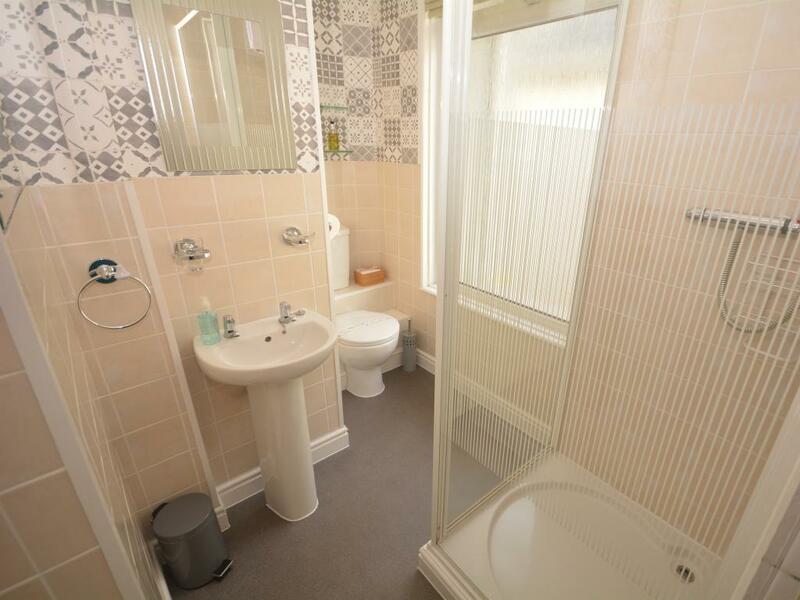 Overlooking the front garden, the room has an ensuite toilet and hand basin (with sliding door) . 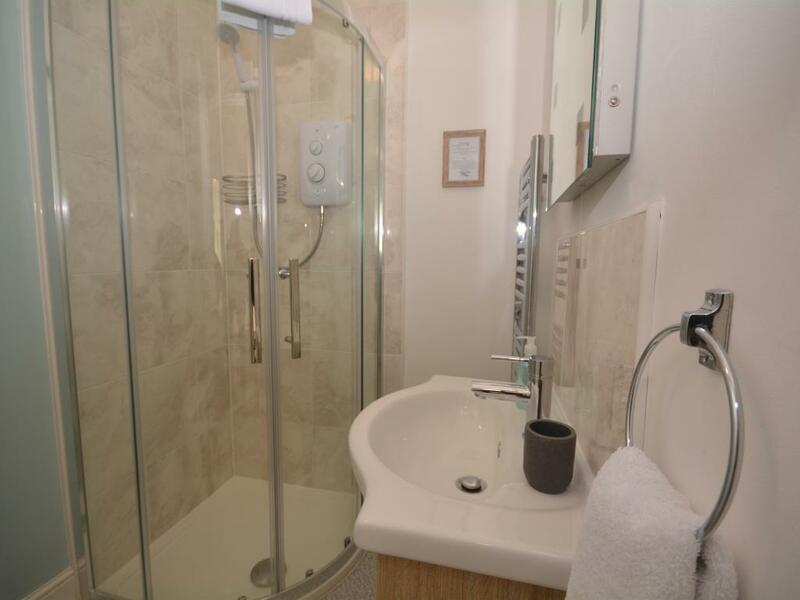 The room has a separate ensuite shower with a folding door. 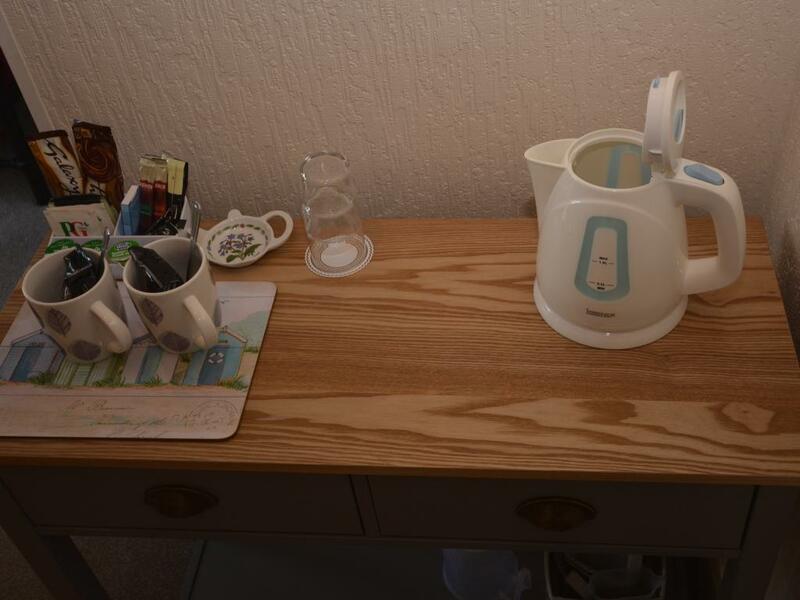 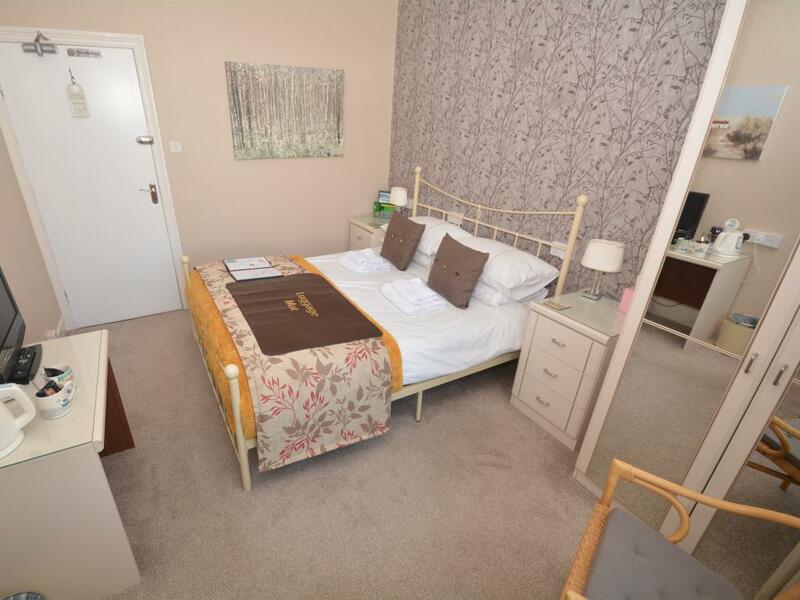 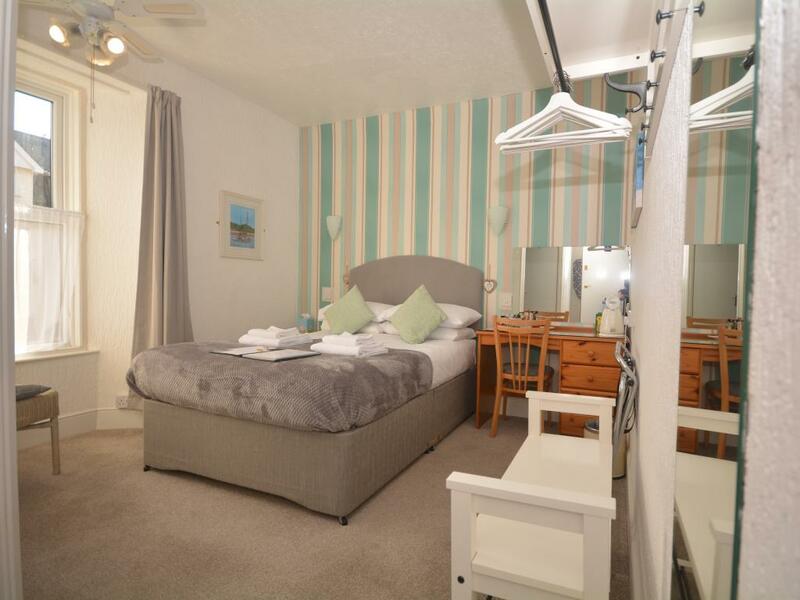 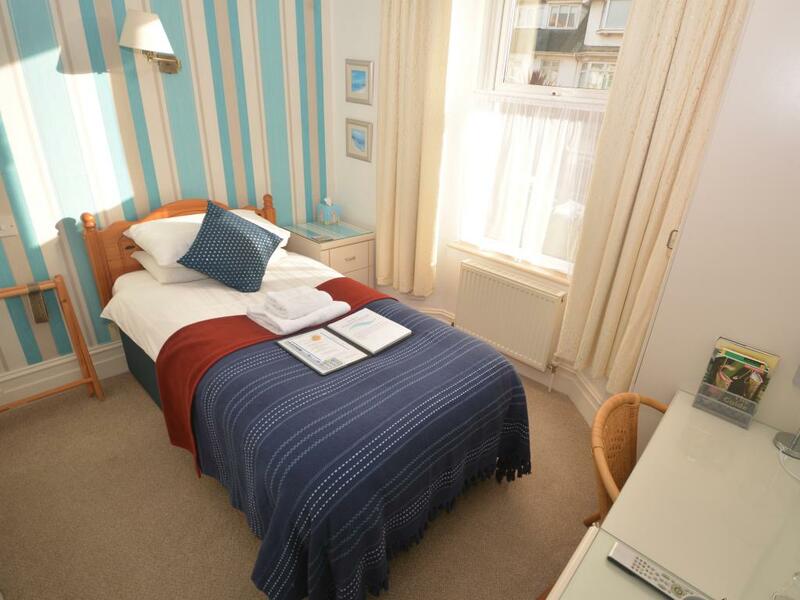 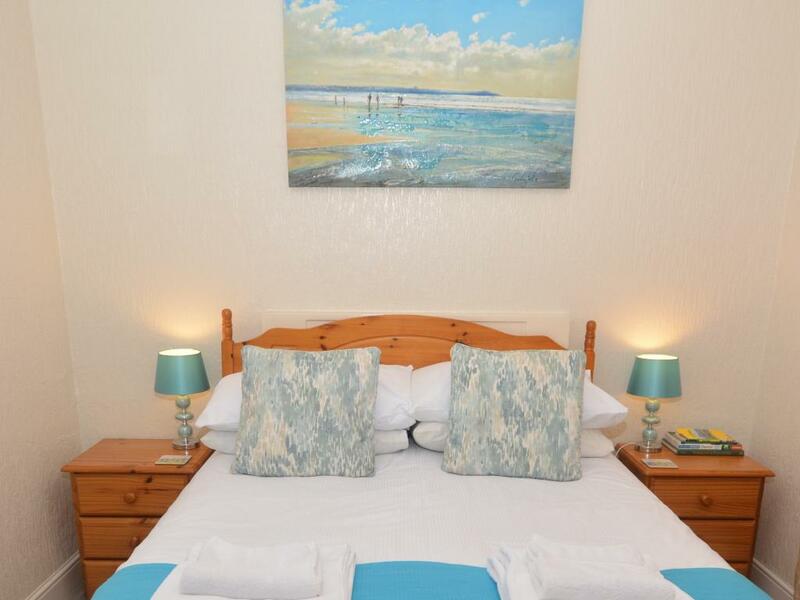 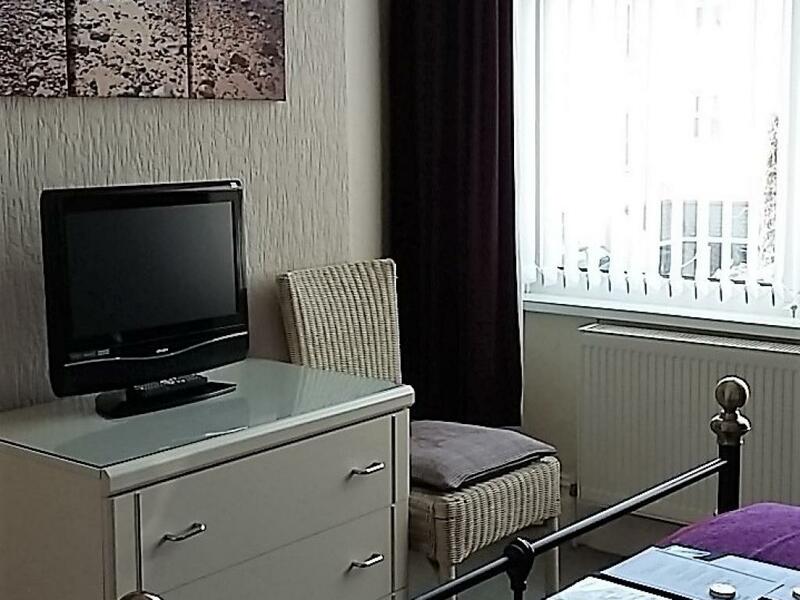 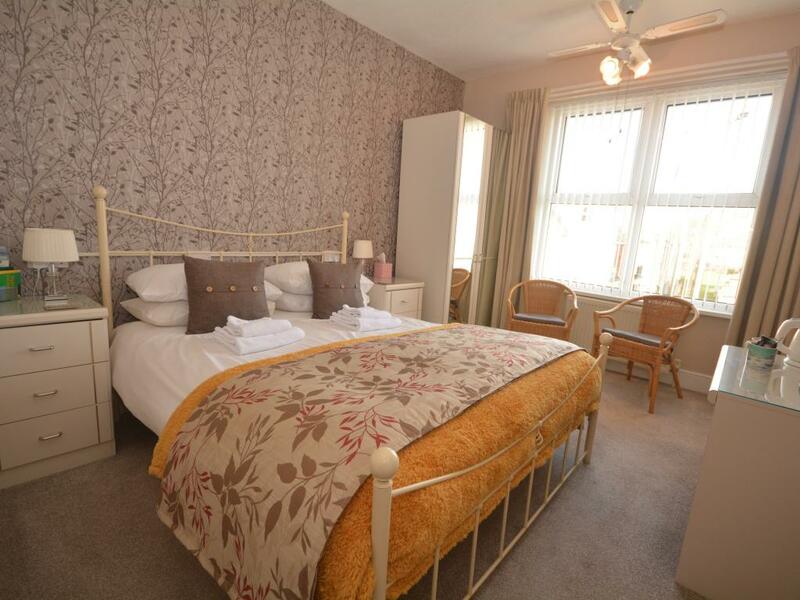 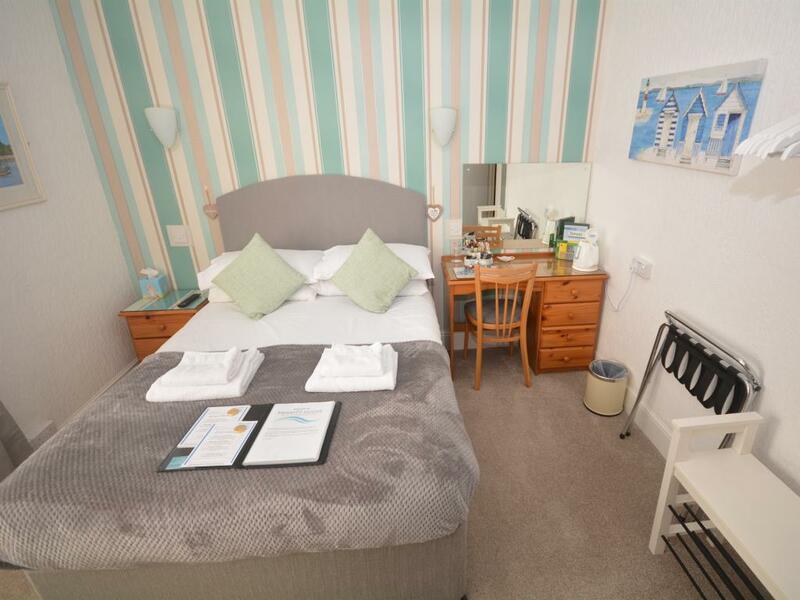 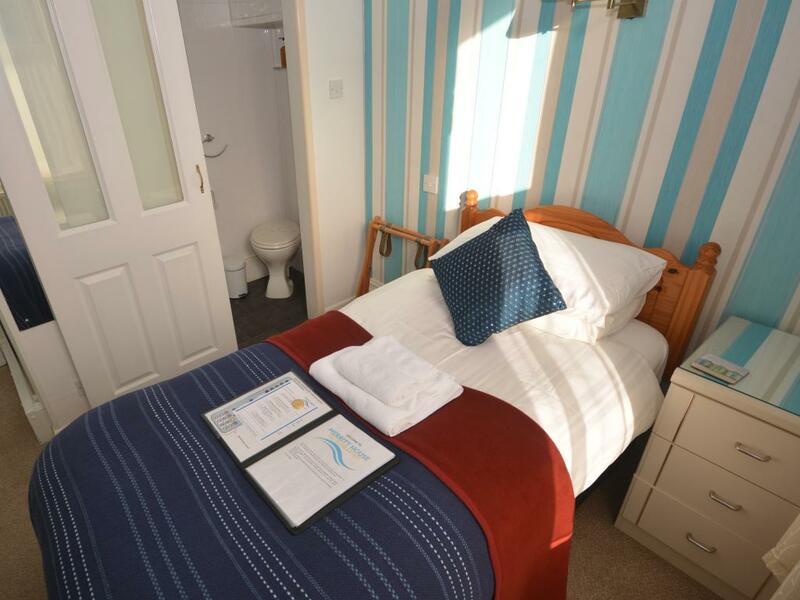 This sunny room, with blackout curtains, has a flat screen Freeview TV/DVD, a radio alarm clock, hairdryer, iron/ironing board, a luggage rack, an armchair, a chest of drawers, a dressing table/desk with a mirror over, a wardrobe, bedside table and a complimentary welcome tray. This room overlooks the front garden, and enjoys morning sunshine. 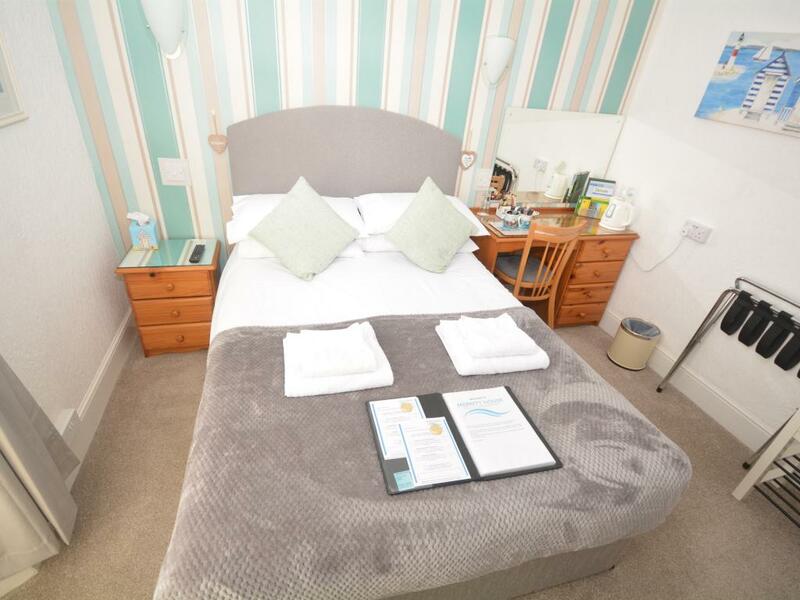 The standard double divan bed in both rooms is accessible from both sides with good quality, Orthopaedic mattress, and two hypo-allergenic pillows per person. 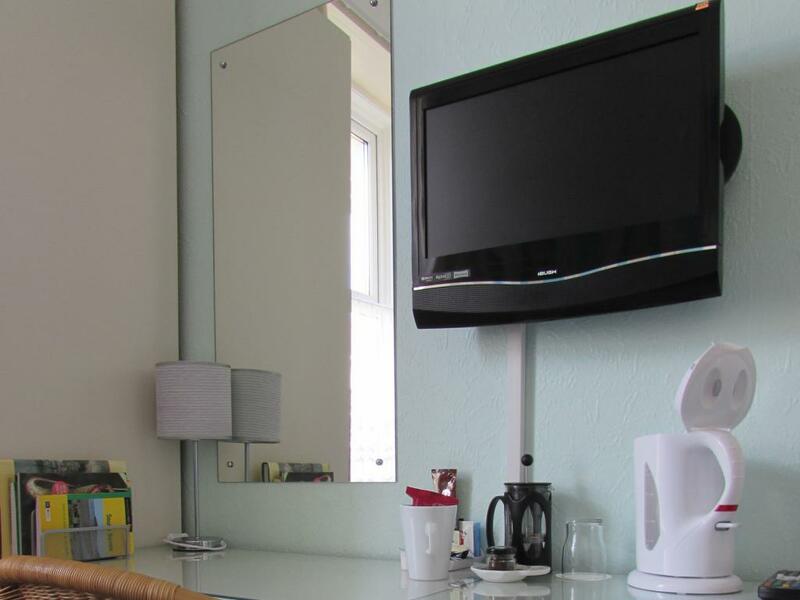 This room has an ensuite shower room, a flat screen Freeview TV/DVD, radio alarm clock, iron and ironing board, blackout curtains, ceiling fan, luggage rack, complimentary toiletries and welcome tray. 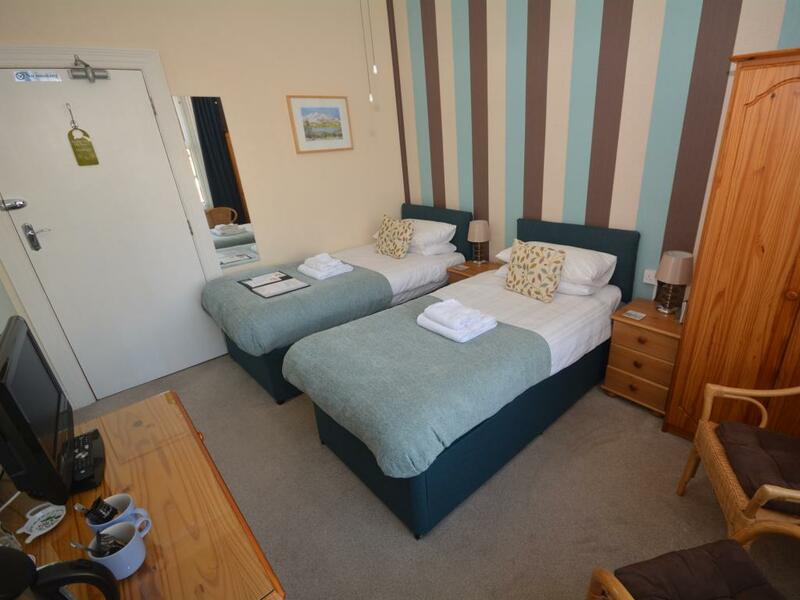 We have two double rooms. 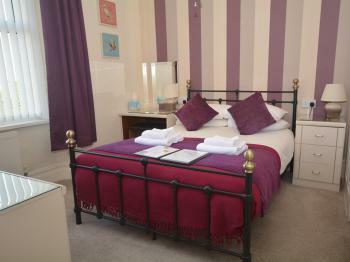 Room 8 is situated at the front, overlooking the garden. 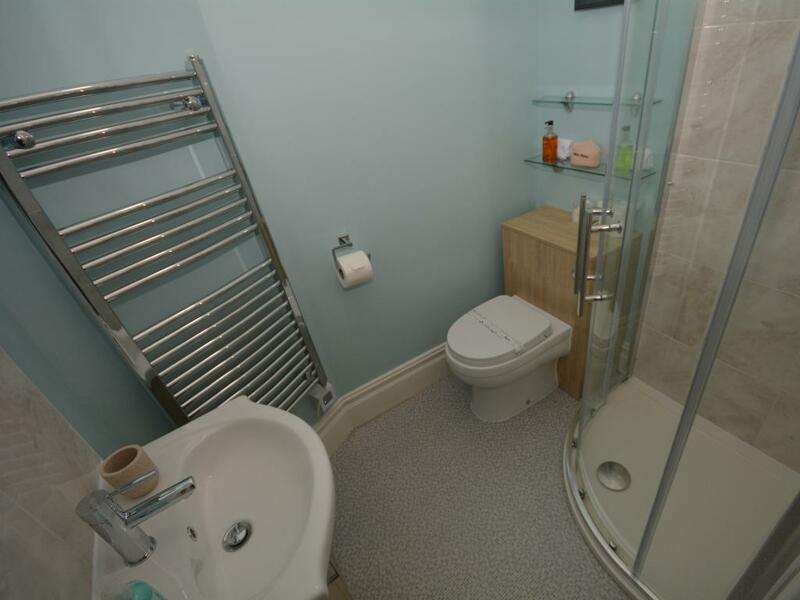 It has similar features but has been individually decorated to make the most of its space. 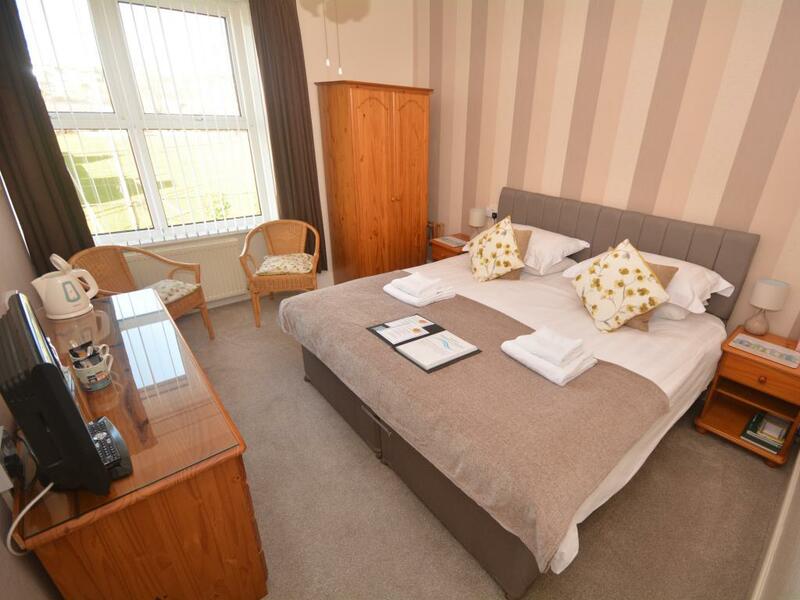 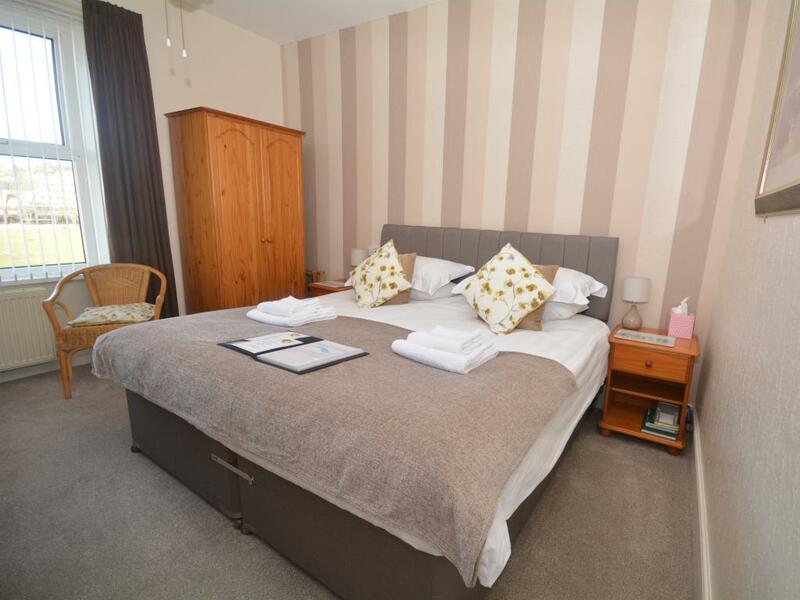 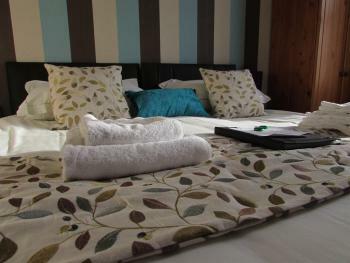 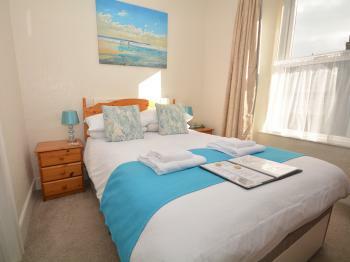 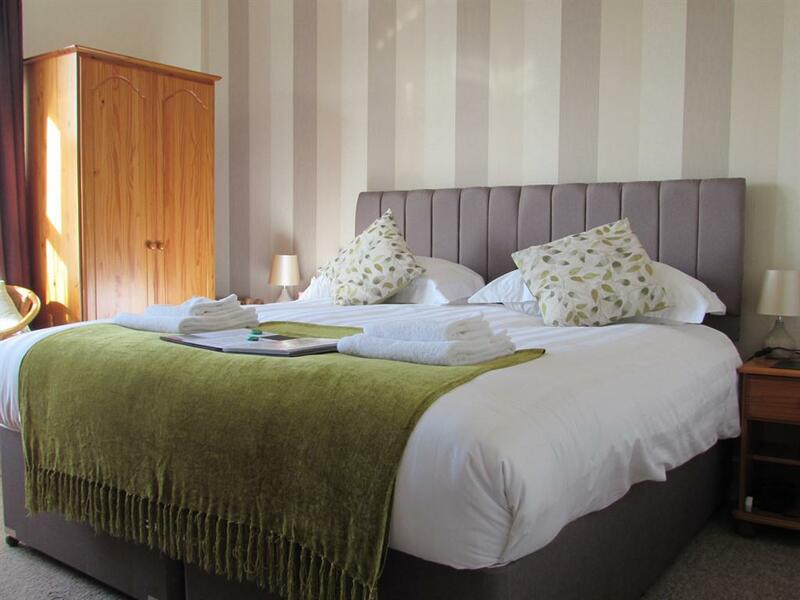 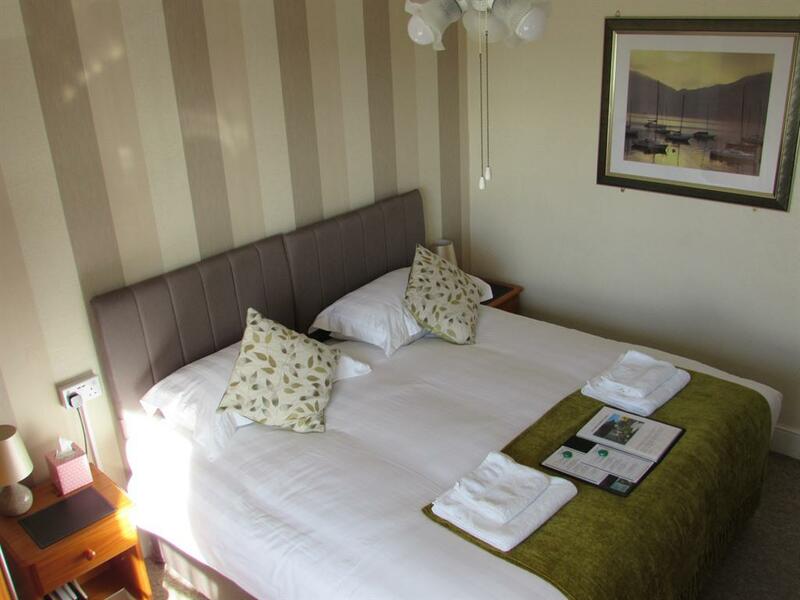 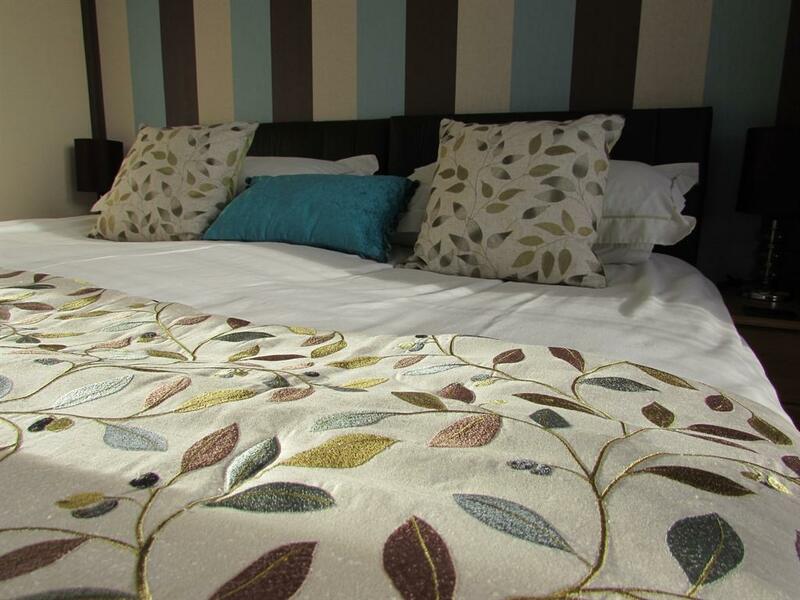 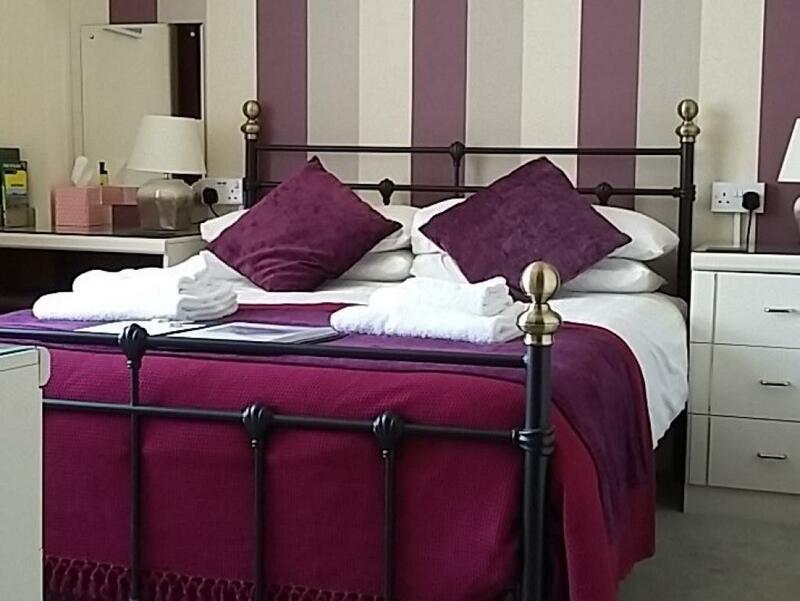 We have two King en-suite rooms which can be booked as a Twin or as a Super King. 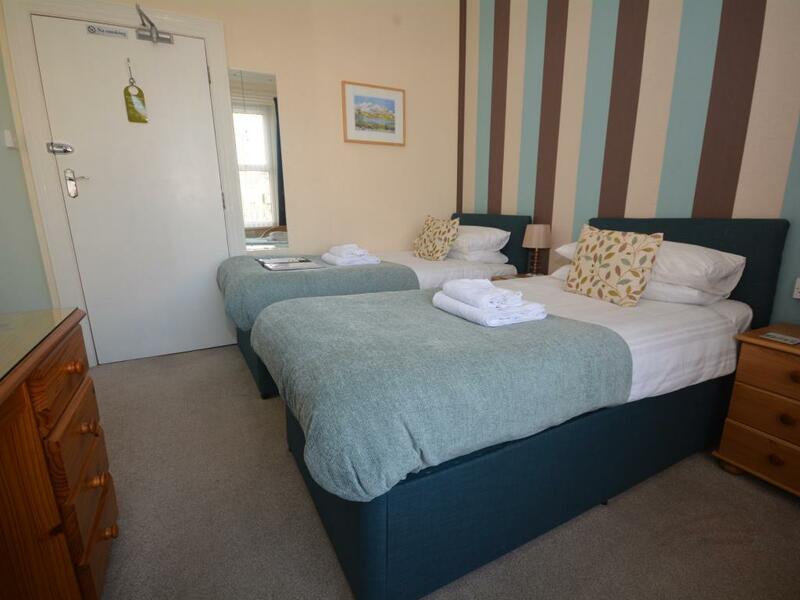 Both have been recently decorated and are situated at the rear of Merritt House overlooking Queens Park, which enjoys the evening sun and views of the steam railway. 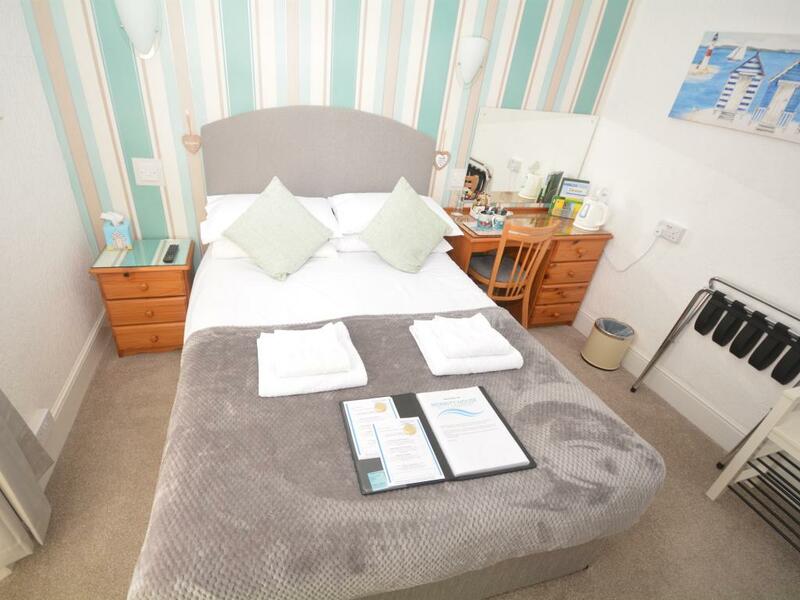 With good quality, Orthopaedic mattress, and two hypo-allergenic pillows per person, an en-suite shower room, flat screen Freeview TV/DVD, radio alarm clock, ceiling fan, luggage rack, bedside drawers with lamps, complimentary toiletries, welcome tray and blackout curtains. Our Superior King en-suite room which has been newly decorated, also boasts a brand new en-suite shower room. 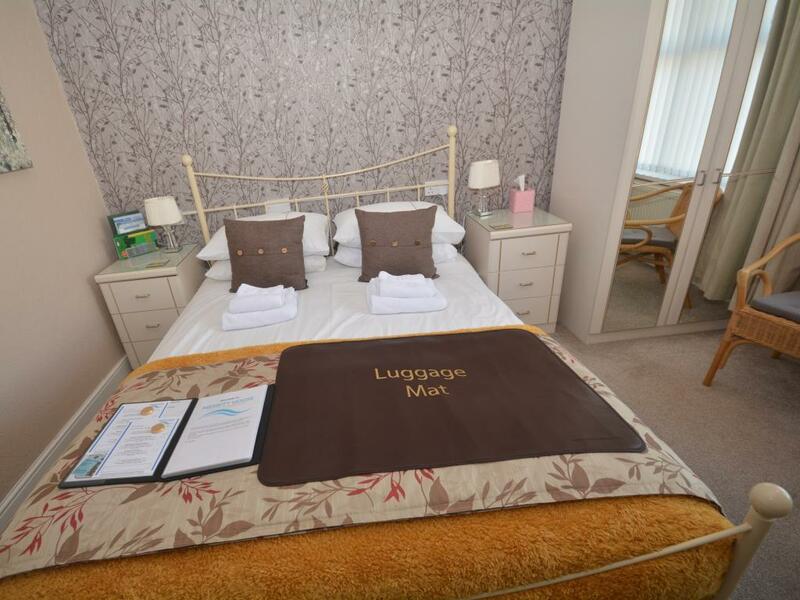 With a quality King sized bed, orthopaedic mattress, and two hypo-allergenic pillows per person, flat screen Freeview TV/DVD, radio alarm clock, ceiling fan, luggage rack, bedside drawers with lamps, complimentary toiletries, welcome tray and blackout curtains. 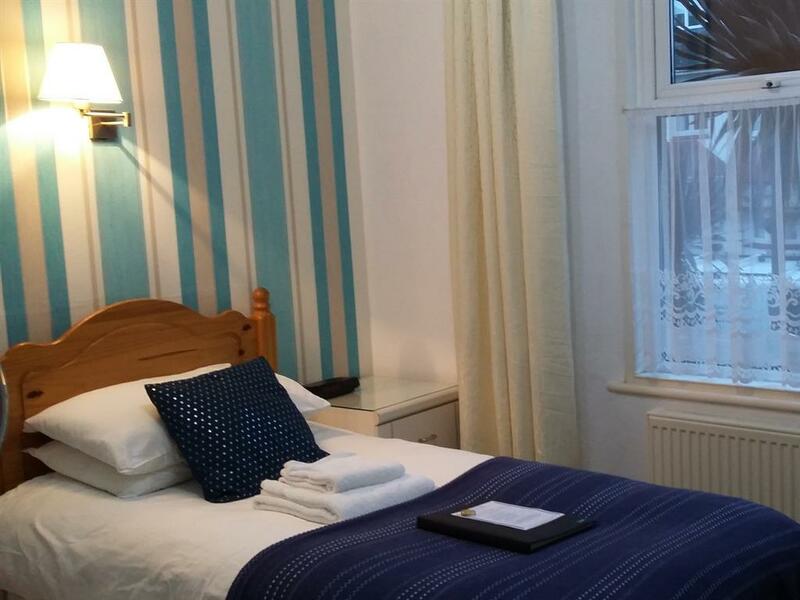 It is situated at the rear of Merritt House overlooking Queens Park, which enjoys the evening sun and views of the steam railway. 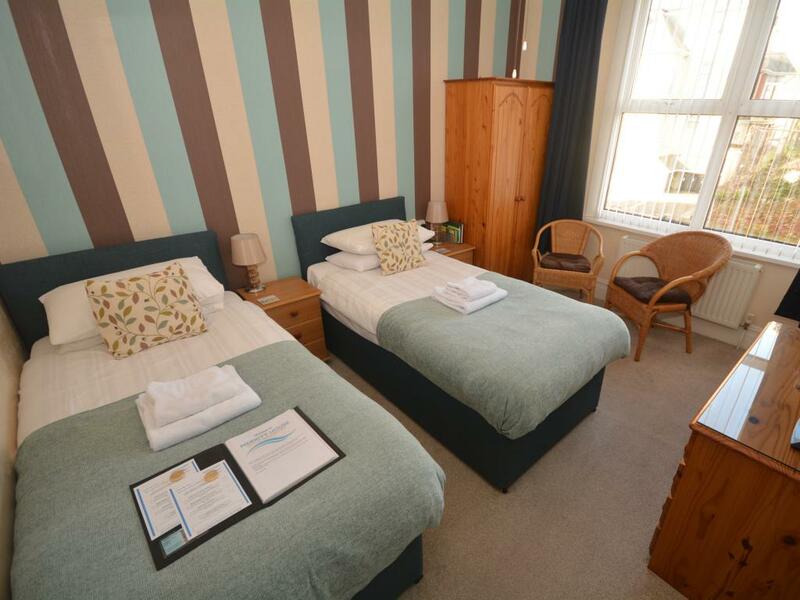 We have two double rooms. Room 3 on the ground floor is situated at the rear of Merritt House overlooking Queens Park, which enjoys the evening sun and views over the park to the steam railway. 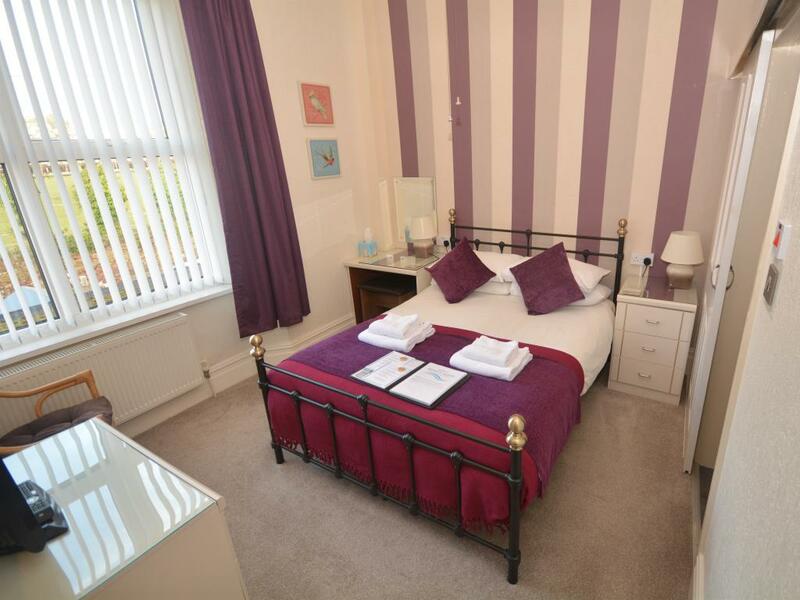 This lovely room has a traditional frame bed, with good quality, Orthopaedic mattress, and two hypo-allergenic pillows per person, an en-suite shower room, flat screen Freeview TV/DVD, radio alarm clock, ceiling fan, luggage rack, bedside drawers with lamps, complimentary toiletries, welcome tray and blackout curtains.